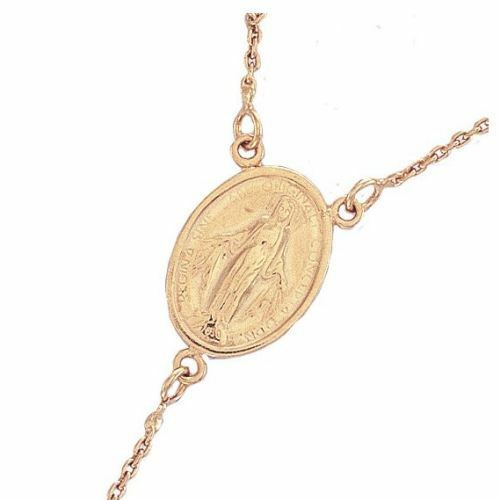 9ct yellow gold 41.0g 34 inch rosary bead crucifix necklace. 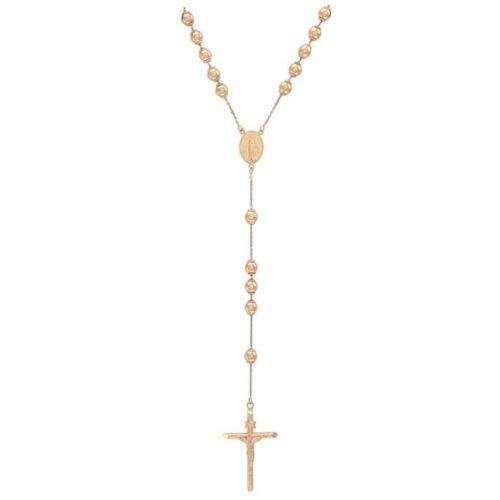 These rosary beads are 34 inches in length and have an average weight of 41.0 grams. 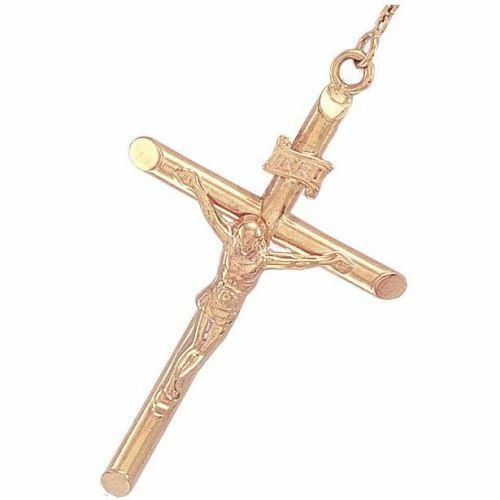 The crucifix measures 30mm in height including bale and 15mm in width and is hallmarked. Beads 9mm. Laid flat the necklace is 24 inches. Comes complete with presentation box. Please allow 3 working days for free UK delivery.